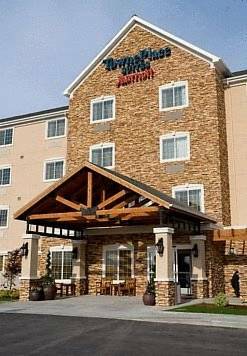 TownePlace Suites by Marriott Boise West / Meridian is a beautiful Platinum Award Winning, all-suite hotel located in the heart of the Treasure Valley. We are centrally located near business parks such as The Village, and Silverstone Plaza which Include, Blue Cross of Idaho, Micron, HP and St. Luke's Hospital and many more. We also have Family attractions like Roaring Springs Water Park or Wahooz Fun Center located just down the road. Downtown Boise is just ten minutes away boasting several museums, Boise State University, the Idaho State Capitol Building, and a multitude of parks. Come home to one of our spacious suites which include full kitchens. Relax in the indoor pool and spa or BBQ on the outdoor patio. Let us help with your Weddings, Reunions, Teams, Seminars, Trainings and Corporate Meetings. From the moment you check in, you'll find our experienced staff to be friendly and knowledgeable of the local area.